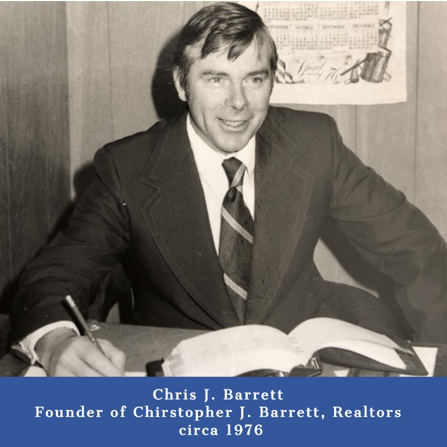 2019 Marks the 50th Anniversary of Christopher J. Barrett, Realtors! Founded in 1969 by Chris J. Barrett, Christopher J. Barrett, Realtors has made its mark in the North of Boston real estate industry by relying on experience, integrity, and commitment to their clients and community. We have consistently been leaders in the market not only in Wakefield but in surrounding towns and we take pride in being a family business for over two generations. From the beginning, Chris’s hard work and endearing personality set him on a path for success. He made it a point to know the citizens of Wakefield and appreciate their needs in buying and/or selling homes. Everyone loved Chris and his growing family. His wife, Marilyn, and four sons were always visible within the town whether it was serving on a town organization, playing on a sports field or succeeding in local school events. Christopher J. Barrett Realtors takes pride in helping buyers and sellers with their housing needs as well as lending a helping hand to hundreds of local, regional and national organizations. Giving back to the community was something Chris and Marilyn felt strongly about from the beginning and that sentiment continues today. Please join us in our year-long 50th Anniversary celebration! We are very proud of this achievement and hope you will continue to call upon us for all of your Wakefield MA real estate needs. But what if you just do not have the time or money to update the kitchen? What if you’re just looking for a little change of scenery or a slight refresh? The good news is that you don’t have to commit to demolition or a major splurge. You can still give your kitchen’s look and feel a little lift on a small, low-commitment budget. Here are some helpful hints for anyone looking for a little refresh. So whether you’re getting your home ready to put your Wakefield area home on the market or just looking to change things up a bit, try implementing these ideas. 1. DECLUTTER – Purging is therapeutic! Look around your countertops and in drawers; remove non-essentials. Remember the simple phrase, Less is More and implement this mantra into your kitchen living. This is especially important if you’re preparing to show your home to prospective buyers and/or staging for photographs. Try placing a simple vase with fresh, colorful flowers or even a bowl of fruit on the counter. 2. LIGHTING – Freshen up the space by updating or swapping out the lighting over the kitchen table or island. Include pendants or undermount lights beneath cabinets to add ambiance and illuminate the prep-space. At a minimum, replace any burned-out light bulbs. 3. PAINT THE CABINETS – Replacing kitchen cabinets can be very costly. An alternative way to update the look is to refinish or repaint the cabinet faces. White cabinets and other colorful options add a bright, fresh look that is attractive to the eye. 4. CABINET HARDWARE – Swapping out the handles and pulls is a quick, easy and often inexpensive way to make a significant change in the kitchen. Look for stylish options or a different type of finish such as brushed nickel. Again, keep it simple and, especially if you are selling your home, avoid using knobs with flowers or cute animals or bold shapes. Those personal choices may not be the choices of the prospective buyers. 5. ORGANIZE THE CABINETS AND PANTRY – Buyers love storage and if your cabinets/pantry looks spacious, it will be a plus for you. Toss out expired food in the pantry, straighten up the cabinets and clear out things you’re not using to show them how much functional storage space you have. 5. ADD PLANTS – Greenery is perfect for any kitchen. Adding live plants, flowers or herbs give a space color, a sweet scent, and even the benefit of cleaner air. A few colorful pots of leafy herbs on the kitchen windowsill suggest simplicity and tranquility. Thinking about selling your home in Wakefield or surrounding North of Boston community? Contact Christopher J. Barrett Realtors today! When you put your north of Boston home on the market, it would be nice if you could just put a “For Sale” sign out front, then the home would magically sell. Unfortunately, that’s not how it works. Most home searches begin online today. Then, buyers move to open houses and private home showings. Whether you live in a condo, townhouse, or a single family home, there are ways that you can increase the amount of traffic to your home showing. The more people that see the property in person, the more likely someone is to buy it! 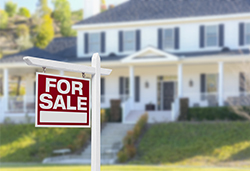 You’ll need to work with your realtor to effectively market your home and make it easily available for home showings. The MLS is where properties for sale are listed and how realtors help their clients find homes. The listing should state that you have a lockbox available to allow other realtors to get into the home with a client. They will call first in order to set up an appointment for a showing. Also, don’t be restrictive for your showing times. Of course, your home won’t be available 24 hours a day, but you need to be flexible. Work with your realtor to set appropriate times for potential buyers to do walkthroughs. Aside from simply listing the home and posting it on social media, try other marketing methods. Maybe you can do some direct mailing to the neighborhood in order to announce that the home is for sale and showings are available. 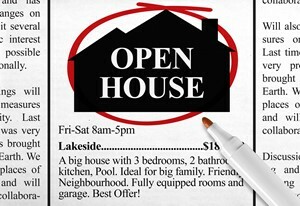 You can also put ads for the home showing in the local newspaper, on Craigslist, and on Facebook message boards. Most likely, your listing agreement states that the buyer’s agent and the seller's agent are splitting the commission on your home 50/50. You can raise the amount of the commission and give the buyer’s agent a higher percentage to make the home more attractive to both realtors and buyers. Realtors are more likely to want to show the home if they have a little extra incentive to bring clients to your home for sale. The money you get from the sale of your home is yours, so use a little of it to get your home sold faster, possibly for a better price. If there are a few other homes in the neighborhood for sale, ask your realtor to try and coordinate with other agents to hold all of the open houses during the same hours on the same day. Real estate agents tend to love to work together because it gives mutual benefits to both parties. This strategy will attract a larger crowd because people who attend one open house will drive by with curiosity, or notice how close the open house listings are together and plan to visit all of the showings during that day. If you plan your home showings right alongside your realtor, you should have your home sold in a timely manner to the right buyer for a great price. Thinking of selling your home in Wakefield, MA or other community north of Boston? Contact us today and learn how we can help! 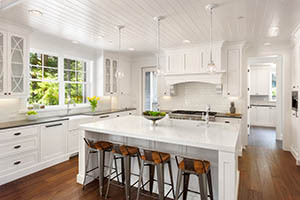 If you are thinking about selling your home in Wakefield or one of the other communities north of Boston, you may want to give it a makeover before placing it on the market. For many, living in the same home for an extended period of time can blur your vision of the details that may need attention. For example, you may not notice the sagging shutters on the second floor or the chipped paint on the trim. However, these details are things that potential buyers see when they drive up to your house. The good news is that these are things that you can easily tackle before you get ready to sell that will not break the bank. Not sure where to start? Maybe all you need is a fresh set of eyes. Any of our agents at Christopher J. Barrett Realtors can provide insight on what improvements can be made to improve the curb appeal of your home so that the house sells quickly. We are professionals in this business and are savvy as to why properties sell and why they do not. We are here to help and would love to offer our suggestions. One of the first things a prospective buyer will notice when they drive up to a home is the yard. 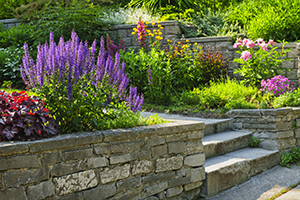 That is why having a well-landscaped lot is vital when planning to sell your home. Some DYI tasks you can do are to weed the garden, plant some fresh flowers and prune the hedges. Adding fresh mulch or window boxes with colorful annuals can add a nice touch to the appearance. Mow the lawn and try to remove any dandelions or weeds. All of these ideas can be done with just a little time and perspiration! Is the paint peeling or is the color faded from years of direct sunlight? 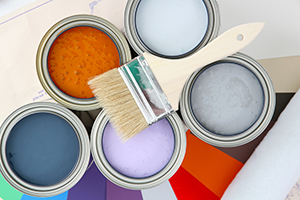 Perhaps a fresh coat will revitalize the house and give it that sparkle to attract the right buyer. Or, maybe the front door or shutters need a makeover. You will be surprised at how a new coat of paint can transform the front of the home. These subtle differences add character to a home and can make it feel more welcoming. The driveway and front walkway should be cared for and clean. If there are cracks in the pavement, spend a little time and money to seal them or even repave it. Remove all the weeds and provide a clean, even edge to the walkways. Sweeping the front stairs can add a nice touch and will make visitors and potential homebuyers feel at home. All of these suggestions will only enhance your property when looking to sell. But be sure you do not wait until the last minute to spruce up the place. Doing a little at a time will relieve stress and give you the time you need to get the job done right. If you would like one of our agents to provide an opinion on how to best prepare to sell your home in Wakefield or one of the surrounding communities north of Boston, please feel free to contact us at 781-245-5011. We can get the job done! If you’re in the market for a new home in one of the communities North of Boston and you see a property you’d like to make an offer on, take a walk or ride around the neighborhood first. This is the best way to see if the neighborhood is a good fit for you. Is the neighborhood near local parks, schools, and restaurants? How accessible is the highway or public transportation? Is it near an industrial area or business that may be noisy? Do the neighbors take care of their property? Buying a less than ideal home in a great neighborhood is better than purchasing the perfect home in a bad area. While you may have found your dream home, you’ll be wise to make sure that the neighborhood has all you need to make your house a home! 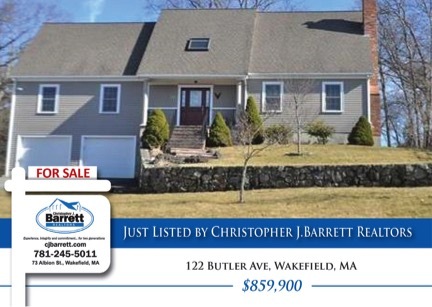 Contact Christopher J. Barrett Realtors today to learn more about our communities North of Boston and for all of your Wakefield MA real estate needs.